The former graffiti artist Nicolas Party has created a 2 hour soundscape that plays on a loop. This interactive experience verges on theatrical as the visitor is immersed in the extremes of being female. 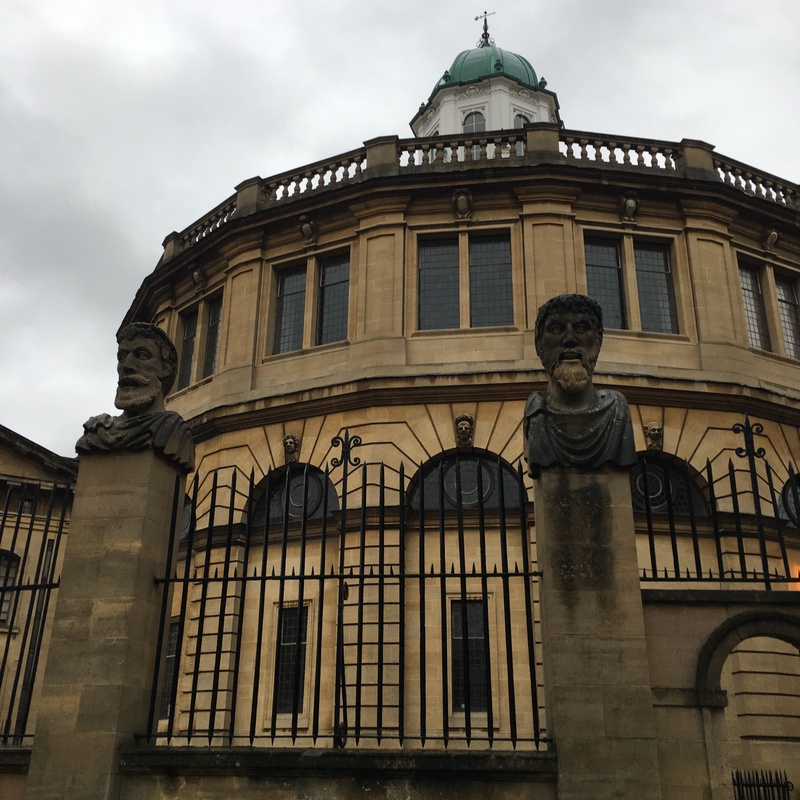 The work is a response to the masculine architecture and institutions of Oxford, particularly the Emperors’ Heads outside the Sheldonian Theatre. These stone heads on the railings are thought to be crafted in the likeness of notable pillars of society from the 17th century. Party’s approach is different. These are not real people although they magnetise a full personality from their made up faces. Perhaps these women embody the dreams and achievements of the female body. 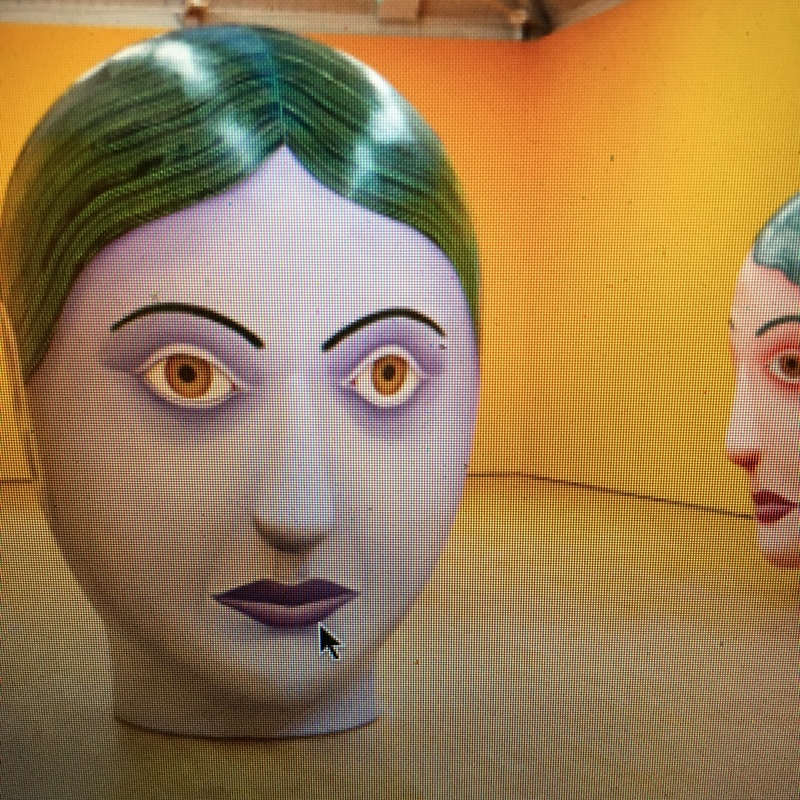 The heads on display are painted in situ in the gallery and use expressions of feminine identity e.g. hair styles and make up that the Artist believes viewers use to define gender. The stone heads outside the Sheldonian Theatre look decidedly male with their beards. But then, who knows? Inspired by this exhibition I checked out some busts of stars of the stage and the page in London’s Portrait Gallery. As this Art from ascends from one inspiration to another.. This entry was posted in Art & Theatre Reviews and tagged adventure, Art, artist, beauty, christmas, colour, decor, DP challenge, home, idea, make up, marketing, music, nicolas party, oxford, painting, party, sculpture, style, travel. Bookmark the permalink. Thank you. Wishing you a wonderful holiday. Yes. There is even a gender fluid theme to our local pantomime this year! Quite a trend. Hope you are well. Happy holidays Mabel. I look forward to reading more of your ideas in the new year. Yes that’s interesting how gender is based on perception rather than judgement. Great insight for me to look at the art again in a fresh way. Enjoy a merry time Mabel. x all my good wishes for a wonderful 2018. The gallery head is mesmerizing. You make a good point about how we perceive gender by how a person chooses to look to the outside world. Makeup and hairstyles – even lack of facial hair – are conscious, daily decisions. We present ourselves as our gender, however we define it to be. Happy New Year, Lita. Looking forward to your posts in 2018!